Cary Smith brings her extensive network and impeccable sense of style to the Tom Hughes Group at Compass. A long-time Park Cities resident, Cary knows the Dallas real estate market and is perfectly suited to help people with all of their residential real estate needs. 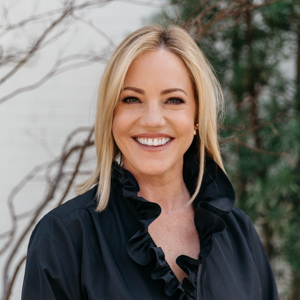 Cary’s warm personality, creativity and positive attitude will be an asset to any buyer or seller trying to navigate this unique Dallas real estate climate. Her knowledge of the market, combined with her commitment to provide accurate information and timely access, will serve her clients well. She is honored to join Tom Hughes and his team and will provide her clients with the services and high level of attention that define the Compass brand. Originally from Amarillo, Texas, Cary received her B.A. degree in Advertising and Public Relations from Texas Christian University. She spent several years in New York City where she honed her marketing skills in the fashion industry. She also launched and led successful endeavors in advertising, retail and beauty. Cary is married to Dallas native, Kent Smith, and has two sporty sons. She volunteers at their Highland Park ISD school and also with Saint Michael and All Angels Episcopal Church. Her eye for high quality recognizes the potential of an empty space. Whether looking for a first home or a forever home, Cary will be a phenomenal resource and trusted partner in your real estate journey.